Senior executives are routinely caught in the profits-this-quarter trap. Majority shareholders typically get our attention, and our bonuses are often tied to performance metrics that reflect the philosophy of these shareholders: returns at all costs. Is this merely a form of modern-day corporate escapism? Is our responsibility as enablers of long-term corporate sustainability thwarted if we have to make compromises that are short-term in focus? Can the short-term productively reflect the long-term goals? Senior executives are also faced with “I am almost retired” syndrome. Realizing that you are just a few years from retirement can lead to the postponement of decisions that are essential to the long-term viability of an organization. In extreme cases, some senior executives opt to ignore these types of decisions in the hope that the organization might fix itself during the course of normal business. This behaviour is not exclusive to those nearing retirement – it can regularly be seen creeping slowly into one’s personal management-style based on the type of organizational culture. These people are escape artists: they escape making the hard decisions by deflecting them to another time or to other people. The cure for management escapism is called ‘leadership’. Take a step back from the process of decision-making and look at the context in which decisions are made. A pattern emerges. In many cases, our avoidance of the decision is due to the fact it is a reactive decision. A condition or event has occurred; a decision to course-correct is needed; this decision is counter to the status quo – or more precisely – to the plan we are currently executing. That reactive leadership appears disassociated from the strategy or plan, making the senior executive seem not fully in control of the organization. Proactive leadership is easier said than done. Academics and scholars often extol the virtues of proactive leadership but are rarely on the frontline of decision-making where pressure to meet the expectations of multiple stakeholders is often overwhelming. The first step to curing this condition is to recognize that you have the disease. Do you come out of meetings wondering what the meeting was about? Are you invited to meetings because the team needs your approval, or have you been invited for your input? If you are still reading this article, you are probably infected with the reactive management illness, which is the main cause for corporate escapism. How then do you turn reactive leadership into proactive? Reactive leadership teams allow circumstances to dictate how they will proceed. Proactive leaders anticipate multiple versions of the future and take corrective actions. One way of thinking of this is to imagine you are captaining a ship travelling east, from New York to Lisbon. You know your true bearing won’t be far away from due east. However, as you cross the Atlantic, the Gulf Stream current is dragging the ship northward, and at the same time the wind is pushing the ship back westward. The ship’s engine is still running fine. Passengers are fed and in good spirits. Operationally, all is well as you drift further and further off course. As a result of these external factors, you – the chief executive or captain – must execute course corrections to maintain the heading. Experienced sailors can assess these factors and ‘tack’ the ship, using the forces of nature to increase the ship’s speed and maintain the course. Tacking does not happen in a straight line – it is a series of zigzag manoeuvres to overcome the external forces. With each move, we anticipate the direction and speed of the wind and currents and maintain an easterly direction toward Lisbon. As the ship gets closer to the destination, the movements become more and more refined. Management teams engaged in proactive leadership engage externalities in the same way by making a series of decisions to move the organization forward. Assessing the business environment and making course corrections is key. In essence, it is simply a series of decisions that anticipate trends and events without throwing the strategy out altogether, or changing the entire implementation plan. But there is a catch. Not all decisions work. What if we make the wrong decision in a corporate culture that looks to blame someone and punish the guilty? Can we reward failure? In many management teams, fear of failure equals organizational paralysis. It is like letting the wind steer the ship and the current set the course. What separates dynamic companies from companies caught in a slow decline is a combination of two important tools at their disposal: having a proactive agenda for growth, and retaining senior managers that have moved from transactional leadership to transformative leaders. Transformation management asks a lot of questions but gets few answers, because the aim is to encourage the organization to think. Proactive leaders want the organization to think about the external and internal setting, not just the activities contained within their business processes; they want people to look at the externalities and think about how these trends or events will change what we do, what we make, and how we add value to customers. Transformational leaders outsource innovation, new ways of thinking, questioning of the status quo and the establishment of key performance indicators to the people who are at the coalface of the business: their employees. For any leadership style to be effective, communication is key. In ineffective leadership styles, those that are reactive and prone to escapism, communications are often also reactive, transactional, convoluted and hard to tie back in to the corporate strategy. Staff see through it – they realize it’s inconsistent and often contradictory. Creating a strategic vision for the organization is not describing some imaginary state of the organization in five years; it is the process of providing clarity in what the organization will become. Many people throughout the organization will participate in the process of strategy creation and setting the vision for the organization. Transformational leaders take each component and seek clarity (finer course-corrections) and communicate these changes to all stakeholders, always referring back to the corporate strategy. This continual feedback loop between the management team and the operational side of the business will transform the organization. It will make it effective and resilient, able to sustain itself through thick and thin. 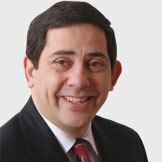 Joe DiVanna is the Managing Director of Maris Strategies Limited, a Cambridge innovation research and advisory think-tank for global organisations. With over 30 years' experience, Joe encourages his clients and audiences to use their knowledge of the context in which they operate and the international exposure they aim for to devise relevant solutions that are both locally astute and globally relevant.